Buffaloes are members of the kingdom Animalia, phylum Chordata, class mammalian, order Artiodactyla and family Bovidae. They are further classified into two main species, the African wild buffalo (Syncerus) and the Asian buffalo (Bubalus). The Asian buffalo is further classified into the river (Bubalus bubalis) and swamp type (Bubalus carabensis) species. The study related to their origins indicate that swamp buffaloes may have originated in China and were domesticated about 4,000 years ago, while the river type may have originated from India some 5,000 years ago. Thus, the buffalo has been domesticated more recently as compared to Bos taurus and Bos indicus cattle, both domesticated ~10,000 years ago. According to the FAO, the total population of buffaloes in the world during 2013 was 193.8 million. Asia alone accounts for the majority of heads, 187.9 million buffaloes that constitute 96.96 % of the total population. Because of its usefulness, the buffalo has been moved to Africa (4.2 million; 2.17%), America (1.34 million; 0.71%), Europe (0.43 million; 0.22%) and Oceania (210 numbers), and it is becoming popular in many non-buffalo rearing countries of these subcontinents. India possesses the largest number (109.4 million: 56.4%) and most of the best breeds of buffaloes (such as Murrah, Nili-Ravi, Banni, Mehsana, Bhadavari, Jafarabadi, Surti etc.). Buffaloes are very important animals in Asian farming with milk, meat and hides as their major contribution to the zoo-economy, together with other forms of contribution within field-work such as pumping water, ploughing, planting and cultivation of crops, puddling of rice fields, hauling carts to carry various materials and people, thrash grains and crush suger canes, etc. Buffaloes are also used for social and cultural events, sports and religious purposes. It contributes to about 55% of the milk produced in India and about 10% of the total global milk production. Buffalo milk has a high level of nutrients, and many consumers prefer it because of its white color, high fat content and flavor. Similarly, buffalo meat is amazingly tender, juicy with a slightly sweet flavor and it is lower in fat, calories and cholesterol than cattle beef, and higher in protein. The buffalo has an intrinsic ability to efficiently convert poor quality forages and crop residues of marginal areas into high quality milk and meat and it has exceptionally long productive life; in fact a healthy female may have as many as nine to ten lactations. Because of its colour and immense economic value, the buffalo is often called “Black Gold", and today more human beings depend on them than on any other domestic animal. Depending on the geographical situations and the purpose for which they are used, buffaloes are managed differently all over the world. Slowly buffalo rearing is changing from the backyard to commercial enterprises and is following the path of cattle industry. Buffalo has an excellent potential for milk and meat production, and therefore development and application of simple technologies to overcome deficiencies in breeding, nutrition, healthcare, management and welfare and simultaneously judicious application of current technologies such as genomics, proteomics, reproductive biotechnologies, nanotechnology, bioinformatics etc., may lead to its faster development. Scientific literature on buffaloes has mushroomed in the last two decades, covering various aspects of buffalo production. In order to maximize productive and reproductive performances, newly developed technologies have been implemented in buffalo farming and management, and in some instances with excellent results. This book has 15 chapters, from the contribution of selected renowned educators / scientists from different buffalo rearing countries, dealing with, the most recent advances ranging from reproductive physiology to nutrition, welfare, milk production and genetics. The book is aimed at magnifying the importance of this species in the world, and highlights areas of research that need to be explored urgently. I am sure this book will be a valuable reference for researchers, policy experts, professionals, and above all, educators as well as under-graduate and post-graduate students interested in the bubaline species. Scientific literature on buffaloes (Bubalus bubalis) has skyrocketed in the last two decades, ranging from production to reproduction issues. Buffaloes have played an instrumental role in so-called emerging countries of the Asian continent, especially thanks to their intrinsic ability to convert poor quality forages and crop residues of marginal areas, into high quality milk and meat. A special focus of interest has been addressed from researchers to the river subspecies, being the most productive across countries of the European as well as the Asian continents. In fact, in some countries, the river buffalo has shown over the years, an increasing trend in the number of available heads, whereas in others, swamp buffaloes have decreased dramatically. In order to maximize productive and reproductive performances, newly developed technologies have been implemented in buffalo farming and management, and in some instances with excellent results. 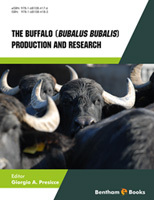 This book, presenting the most recent advances in buffalo production and research, aims at magnifying the importance of this species in the world and at highlighting areas of research still in need to be more deeply explored.